Part One looks at Christianity's origins in Judaism, and follows its spread through the Roman Empire and beyond, the loss of Jerusalem to Islam and reconquest in the Eleventh Century. Part Two takes us through the second millennium, from the flowering of the Middle Ages in the great Medieval cathedrals of Western Europe, through the rupture of the Church in the Reformation, to the modern world. Lavishly illustrated throughout with the images that have helped to define the religion, this unique book combines academic excellence with populist appeal. 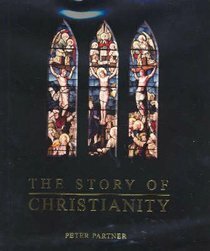 About "The Story of Christianity"